Each Sunday I am going to choose a Psalm and write down some brief thoughts on it. Proclaiming the joy that is still to come. Are we prepared for the great things God will do among us, or is it all a shock when it happens? Sometimes we get used to not seeing our prayers answered straight away and can get into a state of asking but not totally believing and expecting daily. Are we prepared for the great things God will do among us? Do other people notice how we are rejoicing over great answers to our prayers and what has been happening to us? We need to make sure others can see just how God is working in our lives. It is wonderful when others can see and admit that the events in our lives are ordered by God. Do we say and proclaim what God is doing among us? Others need to see the way we know the hand of God in our lives and also how joyful we are because of it. When we see God working we are encouraged to look for more of the work of His Hand on our lives and the lives of others. We know the goodness of God and we know what He has said He will do, so we can look forward to further rejoicing and we should encourage others by reminding them of this. It is not always easy, we do not see our prayers answered immediately and in exactly the way we would hope for. and as we try to witness to them. I love the beauty of Psalms. Thank you for your thoughts! The Psalms are my most favorite of all; they speak volumes in their poetic beauty!! Thank you for sharing your thoughts on this one today...I'll be going back to read the others! Wow, that is really profound to me as my family has gone through heartache after heartache this year, but are starting to see the real blessing of the path God has taken us down. Thanks for sharing. Sandra, I was blessed by this. I'm one who prays for things and find myself surprised when God answers. There have been many times he answered quickly and then there are those times it seems he's not listening and then BOOM an answer. His timing is always best even if it takes longer than I hope. Thank you for sharing with Thankful Thursdays. 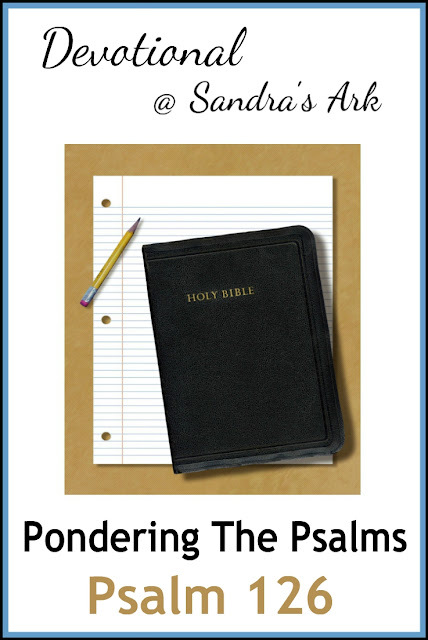 You have shared wonderful thoughts on one of my favorite psalms. I have always loved that the psalmist looked at the good which God did in the past. This gave him hope of God doing it again. This entire psalm is such a rich promise for us to hold onto in the difficult times. I am glad to have been your neighbor this morning at Three Word Wednesday! Very profound indeed. 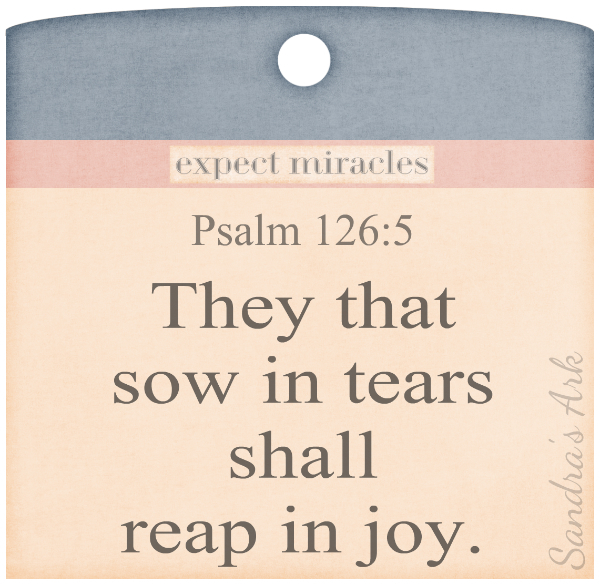 God is with us through sorrow and joy comes in the morning. Blessed to be your neighbor for Three Word Wednesday.